FIRED UP: Tim 'Tonic' Hulsman will appear in Sunday's CFA fundraiser at The Barwon Club. 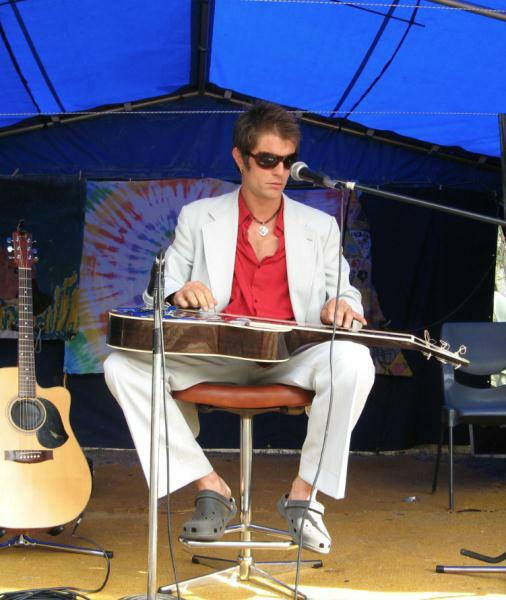 CFA volunteer and roots singer-songwriter Tim ‘Tonic’ Hulsman realised the strength of Geelong’s music community when pulling together 13 local acts to play a fundraiser concert this weekend. The well-connected local musician said he put a call out on Facebook asking bands to volunteer their time at a mini-music-festival event to raise funds for a new $50,000 new support vehicle for the CFA’s Grovedale branch. “I was inundated with messages from bands saying they wanted to be involved. I didn’t have to call anyone, they all rang me,” Hulsman recalled. Red Truck, Big Heart at the Barwon Club Hotel will showcase a constant stream of local music via two alternating stages between 2pm and 10pm on Sunday. The main stage will host hard rock acts Roast Goat Spit, Insygnia, RAM, Kite Machine, Die Hard Dolls, Audemia and Vendetta. During the bands’ set-up and pack-up times The Barn acoustic stage will host Hulsman, Luka Biscan, David Anderson, Jem Fuller, Kyle Taylor and Levi and Cody. “The main stage is all big, hard-rocking bands and the acoustic stage is all solo or duo, singer-songwriter sort type stuff,” Hulsman said. Hulsman’s own music had a “relaxing” roots-folk feel, hence the Tonic in his stage-name, he explained. Anderson, frontman for The Kite Machine and one half of Levi and Cody, was excited to showcase his original songs in both an electric and an acoustic act. Three-piece The Kite Machine had been playing its brand of funky blues around Geelong and Melbourne since about mid-last year but Anderson often played acoustic versions of his songs as a duo with brother Cody on djembe and bongos, he said. Entry to Red Truck, Big Heart at Barwon Club Hotel will cost $15.